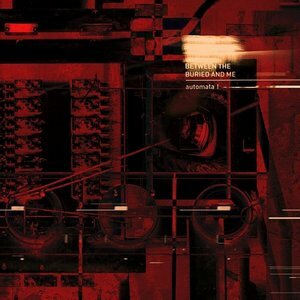 Between the Buried and Me have done concept albums before, but nothing like Automata. Their eighth studio album is split into two parts, with the first part coming out now and the second one following a few months later. The closest comparison is their 2011 EP The Parallax: Hypersleep Dialogues and 2012’s The Parallax II: Future Sequence album, but the former acted as a prelude to the latter, instead of each release being on equal footing. Whether the same will happen with both parts of Automata is currently unknown, but based on Automata I, the band has elevated their creative stature in ways that may surprise even long-time fans. First single “Condemned to the Gallows” is an apt depiction of where the band’s collective head is at almost 20 years in as a group. Acoustic guitars strum along as vocalist Tommy Rogers sings the song title, a lullaby of keyboard notes alongside him, as the tension puts a great burden on the album, broken up when the band settles into a well-established demanding tempo. It’s refreshing to hear them jump right in without relying on a rudimentary introduction track. Besides the synth instrumental “Gold Distance,” there is little fat on Automata I.
Splitting this album in half allows it to be less intimidating to get into, a characteristic that some of their 60 to 70-minute albums faced in the past. At only 35 minutes, and with only one song going over ten minutes (and barely at that), Automata I is the Hollywood blockbuster of the band’s career; a fast-paced, heightened experience that leaves zero downtime. Unlike most blockbusters, the concept here, a society where people’s dreams are broadcast as entertainment, is not a mindless joyride but a captivating spectacle which hasn’t been explored much in music. BTBAM have been tagged as progressive metal for over a decade now, though they have had elements of more extreme forms of metal like tech death in their sound. This hasn’t changed on Automata I, though as the band have gotten older, the usage of keyboards and Rogers’ excellent melodic singing have increased. They even sneak some jazz fusion into closing track “Blot,” courtesy of bassist Dan Briggs and the extended lead work he does in the middle of the song. While this first part has six songs, the second part will only have four, which would lead to the assumption that Automata II will be where the lengthier material resides. Whether that’s the case or not, Between the Buried and Me have started Automata off on a strong note. It’ll be interesting to hear the entire thing as a singular body of music once it’s all been released, though Automata I works on its own, independent of a companion piece.